but that Slothrop knows now that it will work for him again…. 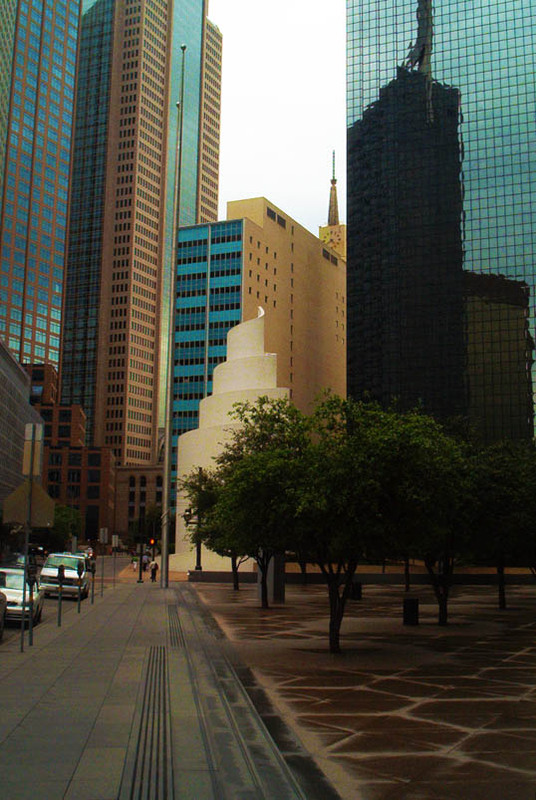 This entry was posted in Photography and tagged Architecture, chapel, Dallas, reflection, spiral, Texas, thanksgiving square. Bookmark the permalink. I wondered why that scene seemed so familiar — so much like Houston. I suspect the answer is Philip Johnson. His architecture’s a significant part of our skyline, too.